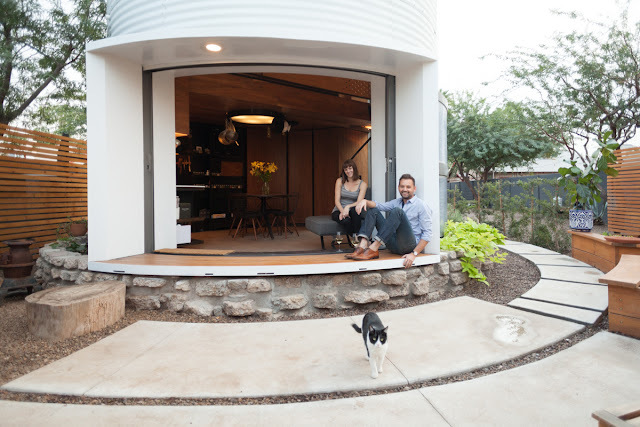 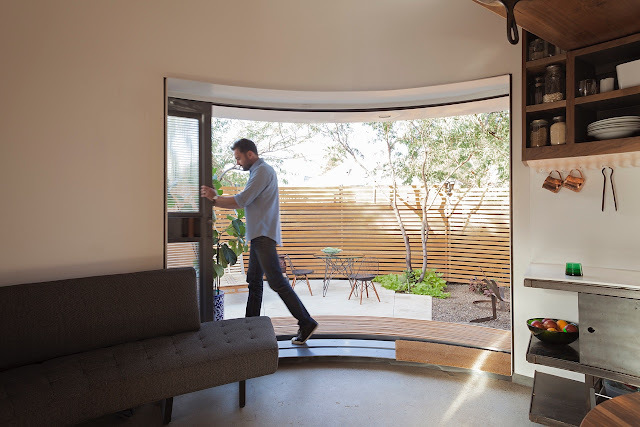 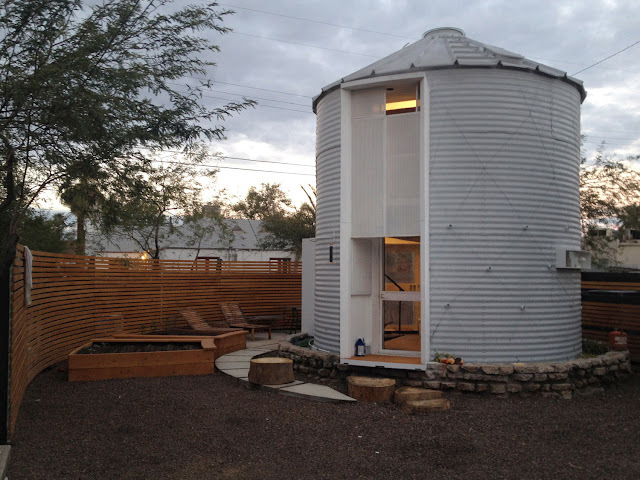 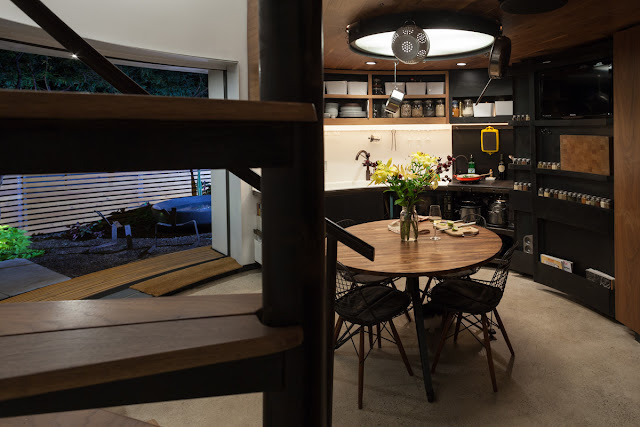 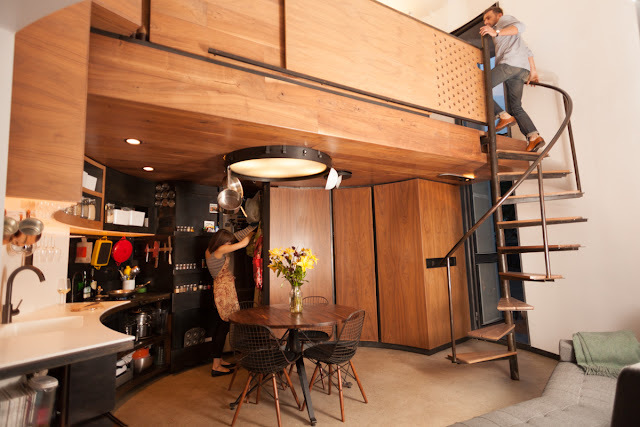 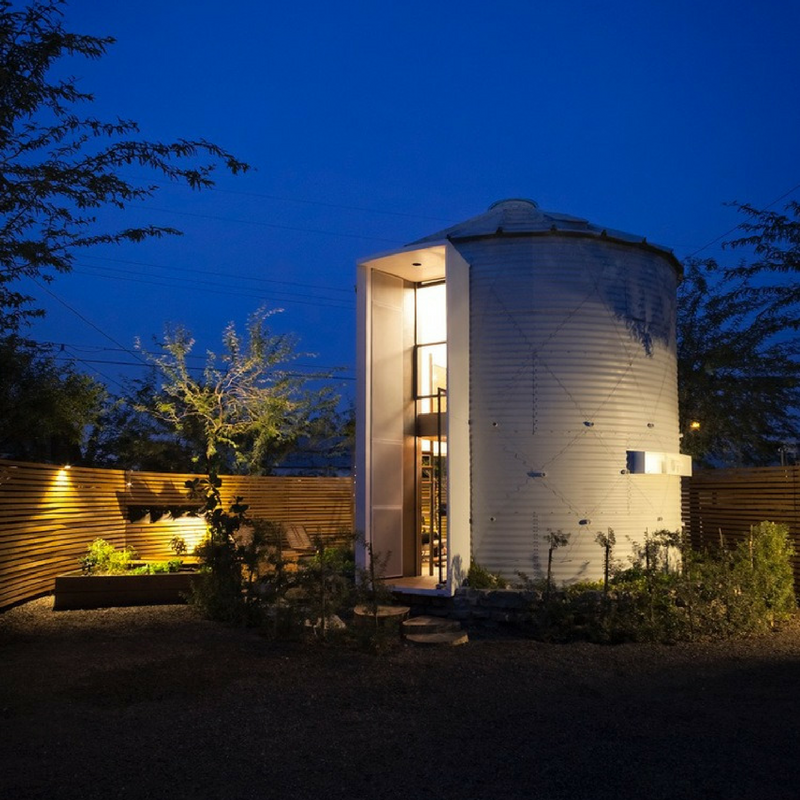 Unique, innovative, and just 340 sq ft.
Made from a former grain silo that dates back to 1955, this tiny home was redesigned into a comfortable, modern home for its owner, architect Christoph Kaiser, and his wife. Located in downtown Phoenix’s Garfield Historic District, the home spans two-storeys and utilizes walnut and black steel to create a sleek, modern look. 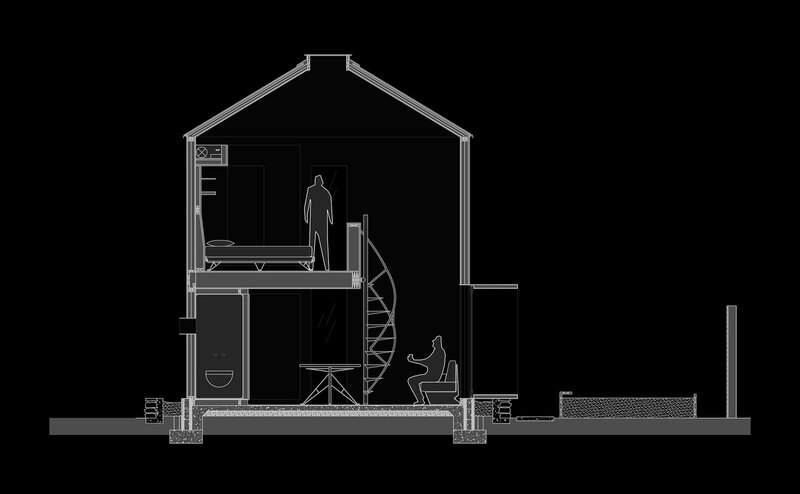 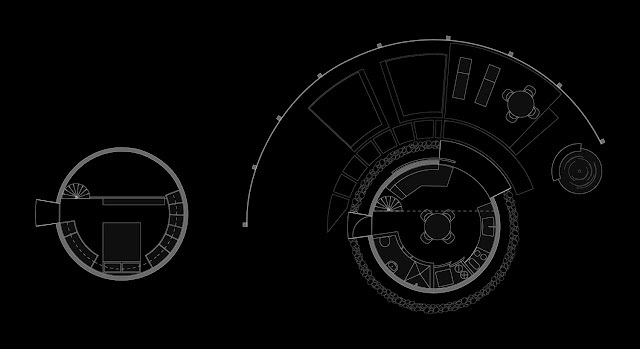 The home's fist floor contains a full kitchen, a dining room, a sofa to relax on, and a hidden bathroom. 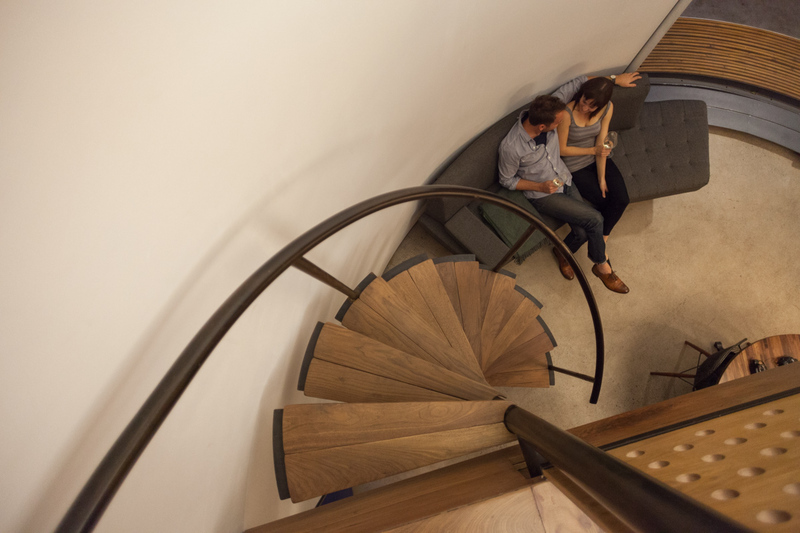 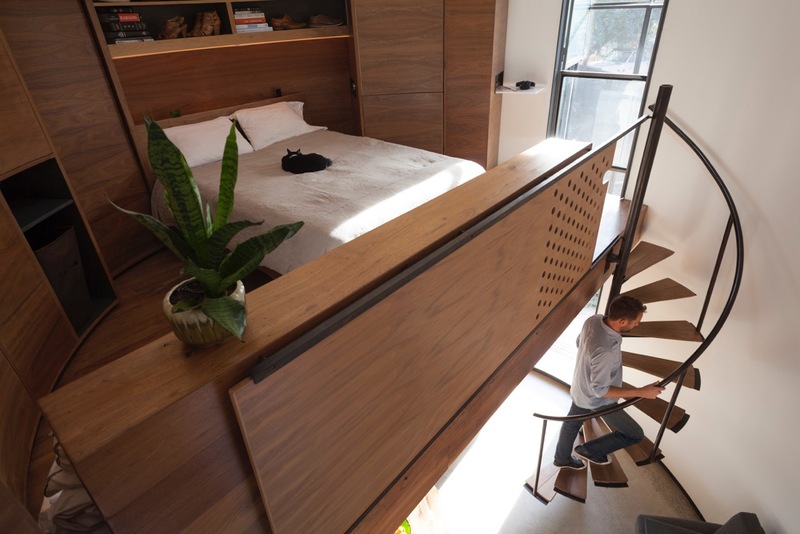 In the upstairs loft, accessible by a spiral staircase, is the home's bedroom. 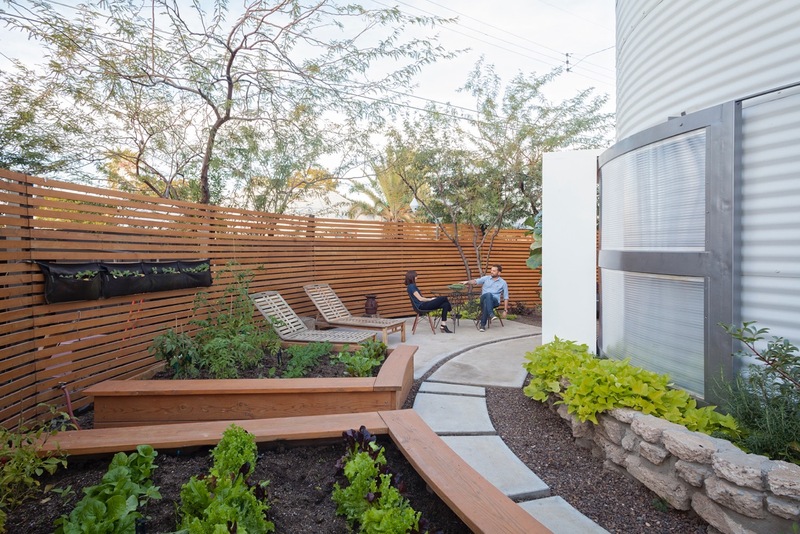 The owners have also done a great job of cultivating an outdoor living space with gardens and a patio.